The purpose of this short essay is to explain the concept of faith as I understand it. 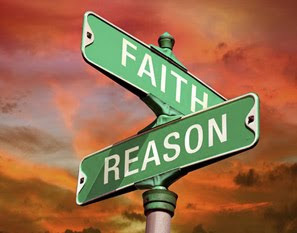 As I have exercised and studied faith, it seems to me that there are primarily two types, or levels, of faith. The first type I call initiatory faith, and the second, enduring faith. These names describe the differences in these two types of faith well. Initiatory faith, I believe, leans more heavily on hope. For as the Bible says, “faith is the substance of things hoped for, the evidence of things not seen,” (Heb. 11:1). Though I can't see if I will make it to work safely, I hope that I will. And because I have made it to work safely every day in the past, I have faith that I will today. It takes initiatory faith to move me to start my car in confidence. Enduring faith is developed faith. It takes action, which is initiatory faith, and time to have the perfect faith that I will arrive to work safely. Having done it hundreds of times, having seen it every day over the last few years, I can easily say I know that I will arrive to work safely. What if I don't? Has my faith been destroyed? Hardly, rather, nothing has changed. My faith will endure tomorrow as I start my car, possibly having learned a valuable lesson. So it is with faith in God, but it's much grander. I believe the greatest thought one can have is God, and the greatest behavior we can imagine God exhibits is creation and that he created this universe, but more spectacularly, that he created us. I want to be like this God. I want to have everything he has and I want to be able to do everything he can do. At this point, I am open to the possibility that He may have other plans for me, or that he doesn't even exist. What's important right now, is that I have faith that I can know the truth regarding the existence of God. Initiatory faith is what moves me to search for Him. Once I've begun my quest, initiatory faith is still the primary faith I am exercising in my search. I read a little here. I read a little there. I begin to understand how others see God. I learn that over the thousands of years of human history, all different concepts of God have been developed. I study them. I begin to recognize a few consistent themes, like prayer and morality. Perhaps these themes are universally accepted, that God is the source of morality and that we can communicate with Him. Since I have always tried to live a moral life, I begin to have hope that if there is a God, that he will accept me as being a moral person. My initiatory faith has now developed some. Of all the books explaining the concept of God, some with great similarities between them, one of them stands out. This book is much like the others, but was published hundreds of years later. It contains some of the same characters as the older books, but also some new ones. It's central doctrine seems to be the same as well. The end of the book claims that if you pray to God, he will tell you if it is true. The initiatory faith that I have had until now has so far endured. I know I am making progress in understanding the different concepts of God. The claim this book makes is quite fantastic. It says that we can talk to God, and that He will talk back! What better way to know if He exists than if He tells me so? But how will I know that it will be Him, and not my imagination? I decide that before I will test the claim, I will study the doctrines of the Church that published the book. I am still acting through initiatory faith. As I learn the Gospel according to this Church, I imagine how good it's fruit would taste if it were true. My knowledge of this Church's history and doctrines increases. I trace connections with the book and the older books and as I study them together, I recognize their consistent message. The Gospel seems to be the same in both, and this Church's doctrine is that the God of the older books is the same God in the newer book. That the older books were written by one group of people a few thousand years ago, and that the newer book was written by a separate group of people around the same time, on the other side of the world. The newer book was not always around in it's present form. The Church claims the original book was revealed to their founder and he translated it by the gift and power of God into what we read today. The events regarding the publication of this book seem impossible, as well as the testimonies given by so many individuals regarding it's authenticity. The Church also claims to be a restoration of the Church established in the older books. It claims to have the authority to act in the name of God, as did the Church in the older books. Both the older books, the newer book, and some other publications by the Church seem to be consistent and seem to explain each other. I soon decide, having used reason to eliminate all other possibilities, that if God exists, that this must be His Church and His doctrine. For that, I decide to learn more about what this Church calls “the plan of salvation.” This doctrine explains that we were all created by God, that we look like Him, and that we can become like Him. If we follow the plan of salvation, make and keep sacred covenants, we can be gods ourselves. This is called exaltation. How I would love to achieve exaltation! To be a heavenly king and queen with my wife, and to create worlds! This is a very appealing prospect. Of all that I've learned about this Church and the promises of it's doctrine, my initiatory faith has developed and I begin to feel ever more confident that I can know if God exists and if this is His Church. This faith that I have, and this hope that I have, causes me to act in accordance with the principles of this Gospel. I begin to change my manners and habits. I apply the dietary principles of what is called the Word of Wisdom and soon I know that they are true. Though I have yet to test the claim in the Church's book, I have tested other aspects of this Church's doctrine and I have come to a knowledge that they are true principles. I have seen how a belief in this book have helped others to become better people and to live better lives. As I test the different principles, I see their effects in my life and in the life of my family. I feel that I am in a good place, and if there is a God, perhaps he has helped me get here. My initiatory faith is strong and enduring well. I begin to study the arguments made by those not in the Church, about the Church. I study them side-by-side with the counter-arguments made by those in the Church. With each claim, I find a logical counter-argument. I begin to have enduring faith that every argument made against the Church has been answered satisfactorily and reasonably. My belief that if God exists, he exists in this Church, is strengthened. But the question still remains, does God exist? I also wonder why the existence of God is not obvious to all. The only answer I have is that he may only want to reveal Himself to those who seek after Him. This is not unreasonable given that He has not made His existence obvious to everyone. I am finally to a point where I have initiatory faith and sincerity enough to test the Church's book. This is very important to me and I must get it right, and I must be prepared for the outcome. Truth about God was always my goal. If He exists, then it is Him that I will align myself with first and foremost. I proceed to do as the book instructs. Perhaps I get what the book claims I'll receive, immediately, but perhaps I don't. Perhaps I only get a little; just enough to really stir up my thoughts in wonder; just enough to keep my initiatory faith moving forward. Thinking about all of the principles and doctrine in this Gospel, and all of the promises that will be fulfilled if the covenants are kept, I decide to continue participating with this Church. The more I hope that the promises will be kept, I commit myself to living a Gospel-centered life and studying the words of those who are believed to speak for God. I am careful not to accept just anything, but I am willing to believe that I can have someone to help me they call the Holy Ghost. To show this, I agree to their baptismal ordinances and believe this is the right thing to do at this time. The more I continue in this path, the more I see how many blessings I have. I decide to thank God for them and assume that He is there and expects gratitude from his creations. The years pass and my initiatory faith is being transformed into enduring faith. I believe that my faith has been confirmed time and time again through keeping the principles of this Gospel. I am now living, full-swing, a God-centered life. I have faith in God and faith in His promises. I teach these to my children and admonish them to always hold the search for the truth about the existence of God as their goal. I teach them how important and glorious it will be if the promises are true. Their faith is initiated not only through my example, but through their own search as they grow. Perhaps the above has a little self-reflection in it. I was born “in the covenant,” as they say, but I don't consider my conversion until I was an adult. It too was a search for truth. The search for truth for each of us is different, but the levels of faith are the same. I believe I have found truth, so far as it has been revealed to me, in the Church of Jesus Christ of Latter-day Saints. I have good reasons to believe it's principles and doctrines are true. I believe I am past the level of initiatory faith and have moved on to enduring faith. It is this faith that I must allow to guide me towards knowing God. I will continue hoping for the covenants I have made to one-day be fulfilled. I will continue studying the Gospel, and sharing what I have found to be true, for myself. I feel the spirit of doubt from time to time, as I'm sure everyone does. I always find answers to the questions that I have. And I will continue growing and serving and doing everything I hope will get my family and I to the Celestial Kingdom and beyond. For this, is faith. An Objectivist Critique of Mormonism?